Following is a rough outline of the stages of the life of a fiddler crab. The photographs are from a mix of species. 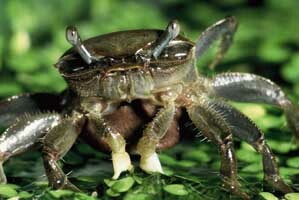 Fertilized female fiddler crabs carry hundreds to thousands of eggs under their abdomen. These are sometimes known as “sponge” crabs. 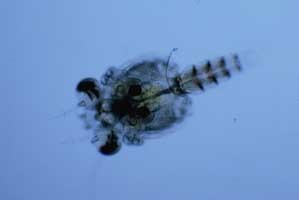 When the eggs are ready, the mother goes into the water and allows the eggs to hatch into microscopic free-swimming larvae. 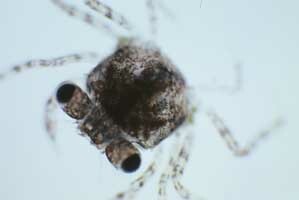 The early stage larvae are known as zoea. 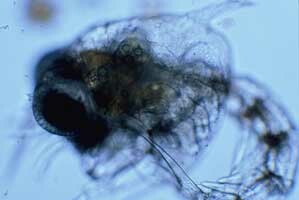 The larvae live in the open water as part of the plankton. As they grow and go through a number of molt stages. 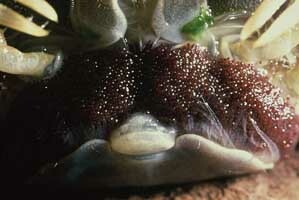 Older larvae are known as megalopa. 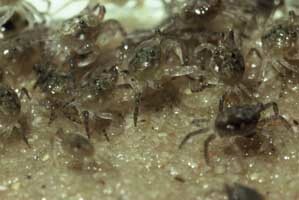 At the end of the final larval stage, the larvae molt into immature crabs. 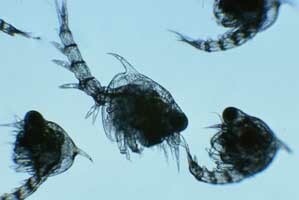 The amount of time spent as a swimming larvae (hatching to true crab stage) varies among species, but ranges from a few weeks to a few months. 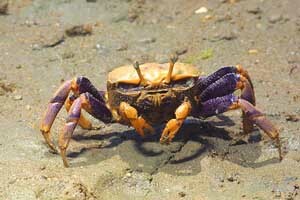 The crabs return to land and begin to grow; juvenile male and female crabs look alike. 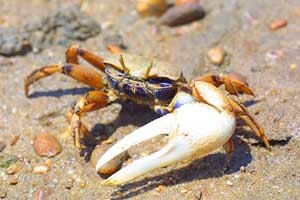 As they grown larger and turn into adults, the secondary-sexual characteristics (e.g., the asymmetric claws) begin to develop. Adult crabs mate and the cycle starts over.